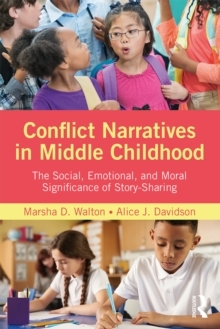 Conflict Narratives in Middle Childhood presents evidence from twenty years of research, examining nearly 3,000 narratives from 1,600 children in eight settings in two countries about their own experiences with interpersonal conflict. 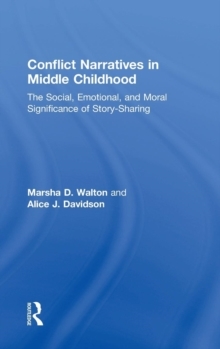 Close readings, combined with systematic analysis of dozens of features of the stories reveal that when children are invited to write or talk about their own conflicts, they produce accounts that are often charming and sometimes heartbreaking, and that always bring to light their social, emotional, and moral development. Children's personal stories about conflict reveal how they create and maintain friendships, how they understand and react to the social aggression that threatens those friendships, and how they understand and cope with physical aggression ranging from the pushing and poking of peers to criminal violence in their neighborhoods or families. Sometimes children describe the efforts of adults to influence their conflicts - efforts they sometimes welcome and sometimes resist. Their stories show them `taking on' gender and other cultural commitments. We are not just watching children become more and more like us as they move through the elementary school years - we are watching them become the architects of a future we will only see to the extent that we understand their way of making sense.